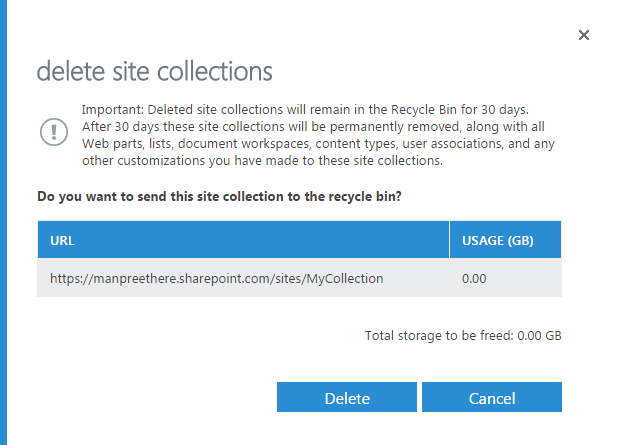 Welcome to an article on how to delete a Site Collection in SharePoint Office 365. A site collection will act like a base for all your different sites on SharePoint. You can use it for your organization or a public facing website. In my last article, we saw how to create a site collection. In this article we will see how to delete it. 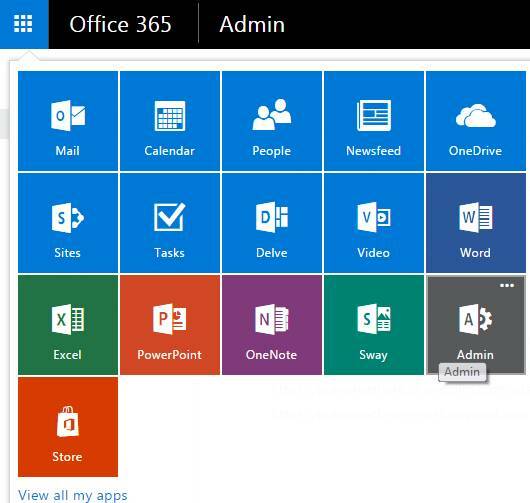 When it comes to Office 365, only the tenant admins have access to SharePoint Admin Center so the following deletion can only be done if you have tenant access. Select Site Collections on the left navigation. 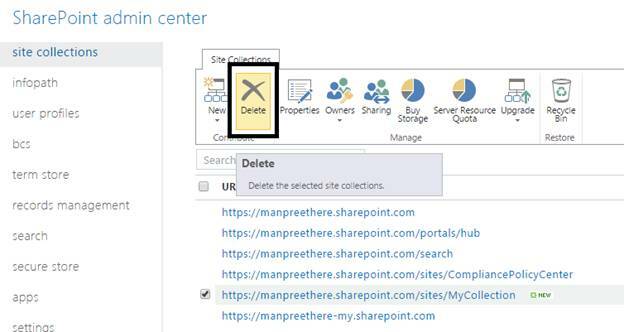 Under the Site Collection section on the Admin Center, select a site collection and click on Delete. You will be directed to the following dialog as a confirmation. 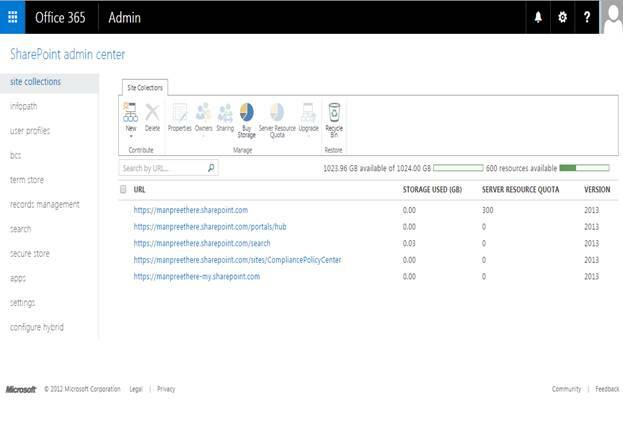 Unlike other versions of SharePoint where we always had an option to have a backup of the site collection restored even after the delete is not in the case of SharePoint Online. It will give you a period of 30 days and after that it erases everything from the collection. Here in this article we saw how to delete a site collection, there are more to come. Until then, keep reading and keep learning!